This evening it was time for the second garden party traditionally hosted by the Grand Ducal Family on the occasion of National Day. 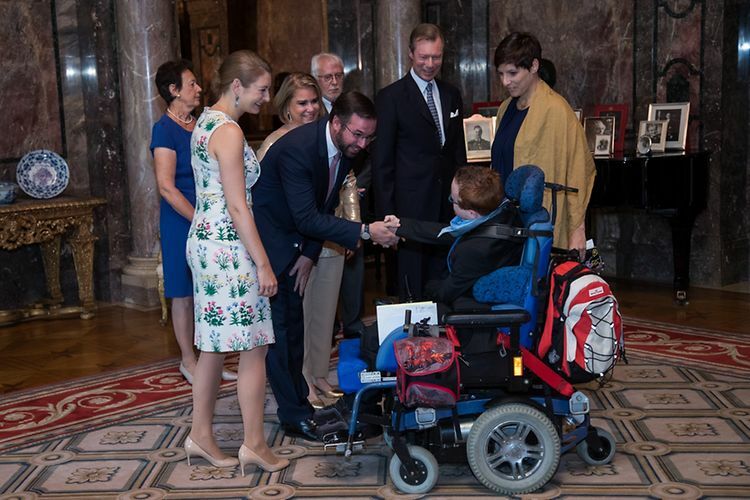 Once again Grand Duke Henri and Grand Duchess Maria Teresa as well as Hereditary Grand Duke Guillaume and Hereditary Grand Duchess Stéphanie were on hand to welcome guests from the worlds of politics, culture, sports, press, aid organisations and finance for a reception at the Château de Berg. More pictures of this evening at Wort. For the first garden party, have a look here.